Now while Paul waited for them at Athens, his spirit was provoked within him when he saw that the city was given over to idols. Therefore he reasoned in the synagogue with the Jews and with the Gentile worshipers, and in the marketplace daily with those who happened to be there. Then certain Epicurean and Stoic philosophers encountered him. And some said, "What does this babbler want to say?" Others said, "He seems to be a proclaimer of foreign gods," because he preached to them Jesus and the resurrection. And they took him and brought him to the Areopagus, saying, "May we know what this new doctrine is of which you speak? For you are bringing some strange things to our ears. Therefore we want to know what these things mean." 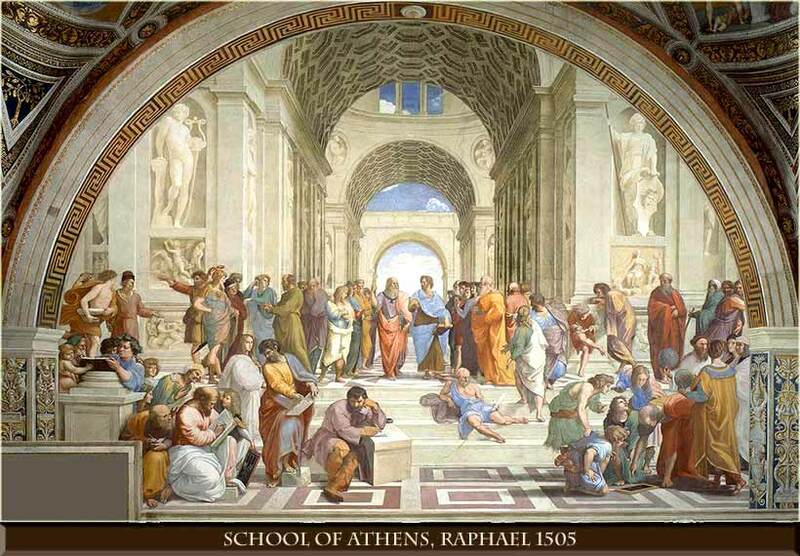 As indicated in the final verse, Athens was still the center of philosophy in 50 A.D.; men gathered outside on a hill called the Areopagus to discuss ideas. It was the most concentrated center of philosophical discussion in the history of the entire world. So Paul has made it into the big time. His walking into the Areopagus of Athens is like a baseball player walking into Yankee Stadium. Although Epicureanism has come to be associated with overindulgence, in fact, the opposite is true. The Epicureans believed in stringent moderation as one key to perfecting human life. They believed that human beings had souls, which survived their deaths. Although they believed that gods existed, they thought that these gods were not interested in life on earth and certainly would never intervene in earthly affairs. The Stoics, remarkably, came very close to agreeing with the fundamental truth of John 1:1 -- "In the beginning was the Word, and the Word was with God. And the Word was God." Although they did not call him "God", they believed that the Word, or logos, was not simply a force, but a reasoning person; and they had true morals based on the laws of the Word. But they lacked an essential ingredient: a living relationship with the Word and worship of him as God, which the Jews were given in the Old Testament. They had no life in the spirit, as we call it. And so, as close as they had come to truth by using their sheer intellect, the Greeks worshipped statues, to which they had ascribed a vast, rich mythology. But intellect cannot find God; as they are to discover, only the spirit can find God.